It’s the last day of 2018. CPFF is grateful to everyone who has supported our Pay It Forward campaign. It’s not too late to still contribute. We stand on the shoulders of those who paved the way for us to where we are today. Paying It Forward will help to ensure that those who come after us, will have even better options than those before them. Please like us on Facebook and share our postings with your family, friends and colleagues! 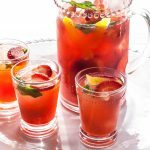 Enjoy the Holiday Punch and Sparkling Strawberry Sangria! 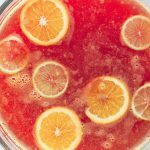 Download the recipe for Holiday Punch! Download the recipe for Sparkling Strawberry Sangria! We stand on the shoulders of those who paved the way for us to where we are today. Paying It Forward will help to ensure that those who come after us, will have even better options than those before them. Please like us on Facebook and share our postings with your family, friends and colleagues! 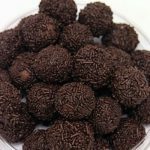 Download the recipe for Morrison Rum Balls! 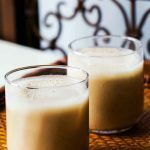 Download the recipe for Coquito! 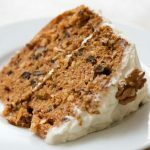 Download the recipe for Carrot Cake! This is a recipe shared by Barbara Barr’s mother-in-law. Originally the recipe was in English terms using ounces instead of cups. Barbara purchased a special cylinder measure for conversion in order to convert the recipe. 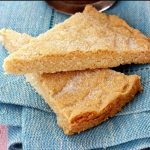 Download the recipe for Scottish Shortbread! Thank you to everyone whose participated in the CPFF Pay It Forward campaign. It’s not too late to donate! 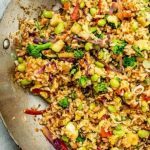 Download the recipe for Easy Vegetable Fried Rice! 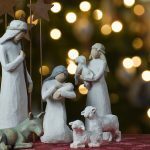 We are six days away from Christmas! 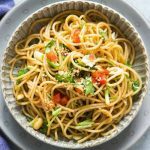 Enjoy my Sesame Noodle Salad! We are one week away from Christmas! Would you consider becoming a monthly donor for $35? 4 monthly donors at $35 per month will support a patient/care giver support for a year (room rental, coffee/tea, and CPFF patient guides). 50 monthly donors at $35 per month will support advocacy, to push for earlier diagnoses in order to receive treatment to slow down the progression of Pulmonary Fibrosis. 214 monthly donors at $35 per month will support the training an Interstitial Lung Disease (ILD) Respirologist Fellow for a year. Please Pay It Forward today by becoming a monthly donor to CPFF. Ask your family, friends and colleagues to join you in lieu of a Christmas gift. We can create hope together! 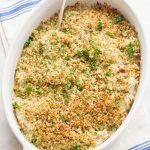 Enjoy my Baked Fish with Parmesan Breadcrumbs! CPFF Paying It Forward is part of a newsletter sent out earlier from CPFF about how we are standing on the shoulders of those who paved the way for us to where we are today. Pay It Forward will help to ensure that those who come after us, will have even better options than those before them. Although there have been no studies that we are aware of, there are some who believe that diet can have an impact on IPF symptoms. A properly balanced vegetarian diet may help some of you feel better. Here is another vegetarian recipe that my family and I enjoy during the Christmas holidays. I hope you’ll enjoy this along with the Chili Gai Lan and the Spinach & Mushroom Lasagna. 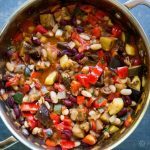 Download the recipe for Spicy Vegetarian Chili. 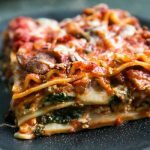 I love this spinach and mushroom lasagna! I’m not fond of my vegetables but this recipe ensures that I get my daily quota when my family and I get together for Christmas dinner. Download the recipe for Vegetarian Spinach and Mushroom Lasagna. I’m not fond of vegetables unless they are tasty and have a kick to them. 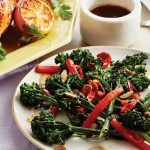 Chili Garlic Gai Lan (Chinese Broccoli) hits the spot for my family when we get together for Christmas dinner. Download the recipe for Chili Garlic Gai Lan. Another favourite Christmas dish of mine is lamb. 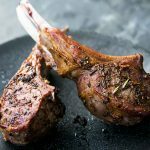 Here is a recipe for Rosemary Crusted Lamb Chops. Download the recipe for Rosemary Crusted Lamb Chops. 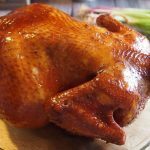 Depending on the number of people coming over for Christmas dinner, I usually try to make several main items to accommodate varies dietary needs of my family. My Soya Sauce Chicken is always a safe bet, but I do love a good Christmas ham. As I have stated before, cooking is not my forte. I have learned over years to practice the recipe until I get it right before serving to family! Cranberry Glazed Ham is a favourite of mine. I hope you’ll enjoy it. 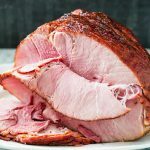 Download the recipe for Cranberry Glazed Ham here. When it’s my turn to host the CHRISTMAS dinner, survival is what comes to my mind rather celebration! I’m stressed over what to make, as cooking is not my forte. Over the years, I’ve come up with simple but easy recipes (no fancy ingredients and usual just the one pan or pot). Over the next 14 days before Christmas, I’m going to share my recipes with you and hope that you’re share yours with me! 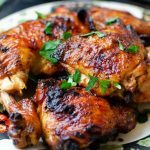 Download the recipe for Soya Sauce Chicken here. However, not all of us are able to spend this special time with our loved ones due to Pulmonary Fibrosis. Let’s remember all those who are not with us and their families this year by donating to Canadian Pulmonary Fibrosis Foundation. Let your family, friends, neighbours and colleagues that the perfect Christmas gift is at their fingertips, all perfectly wrapped! Sincerest wishes for a happy and healthy holiday!